Looking at the sales figures of the recent past, we find out that there are certain SUVs that have been selling at a very slow pace. We try to analyse why there’s a lack of interest and whether you should give them a second look. One of the most capable off-roaders available in the country, the Force Gurkha is sadly far from beating its sole rival, the Mahindra Thar. Hugely capable off the road, it comes with off-road equipment like differential locks (at both the front and the rear axles) on the 4×4 version, a snorkel, and even a hard-top. At Rs 6.97 lakh, ex-showroom, Delhi, it’s about a lakh more expensive than the Thar (DI, 4×2). The brand recall isn’t as great as that of the Thar’s, so that’s another reason. If you’re looking at something with almost bullet-proof reliability and an insurmountable ability to scale bad terrain, then Gurkha has to be an easy choice. As far as iconic Indian SUVs go, there’s no competition with the Tata Safari. Launched in 1998, the Safari went on to win hearts like no other Tata. It wasn’t completely free of niggles, but was a well-appreciated effort. Sadly with about 500 units (including both the Safari Dicor and the modern Safari Storme) every month, it manages about 10 per cent of what its main rival, the Scorpio, does. 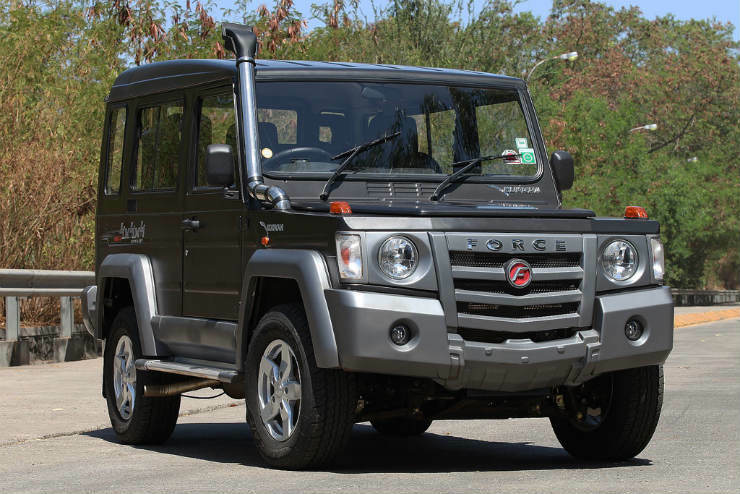 Tata isn’t known for its after-sales service, so that’s one point going against the Safari. Second, the lower variants have to be better equipped — none of the Safari (Dicor) models get ABS or airbags, while the base version of the Safari Storme missed out on them, too. The more powerful Varicor 400 engined version beats SUVs from segments above in terms of maximum power and torque figures: 154 hp and 400 Nm. Not only does that make the Safari make great value for money, the presence of a six-speed gearbox garners some additional cruiser credentials. Also, the brilliant ride quality on the Safari, and those comfortable seats, make it such a desirable vehicle! With the Ford Endeavour and the Toyota Fortuner performing well on the sales chart, no other SUV in the segment comes anywhere near them. The Ssangyong Rexton, sold in India by Mahindra, has negligible impact on the sales, as it hardly manages to two digit figures. That’s not to say it’s a flawed product: it’s powerful, has a spacious cabin, and is priced very competitively, too. 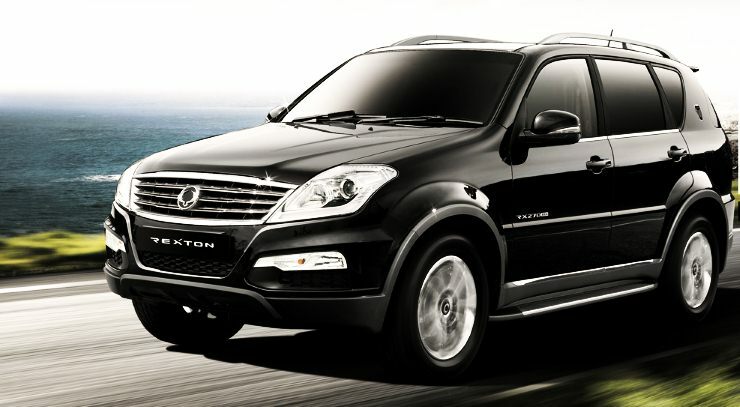 As you must have noticed, like others mentioned above, the Rexton also lacks the brand value and recognition of its competitors, and hence suffers in terms of sales. The segment isn’t huge in terms of monthly sales, and the competitors are very well established. Adequately powerful and with an optional AWD system, the Rexton isn’t lacking per se. The cabin isn’t bad, either, and if you’re looking for an option away from the usual choices, it makes a lot of sense to invest in one. The Chevrolet SUV, up against the Fortuners and the Endeavours of the market, made a promising start, but that dwindled down. 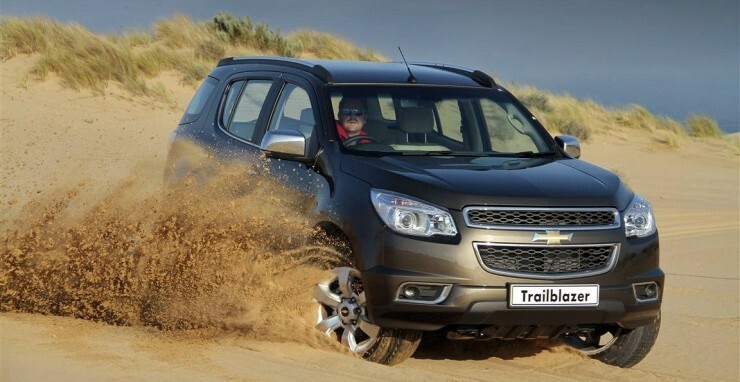 With recent dispatch figures being fewer than 20 units every month, it’s clear the Trailblazer failed to make a mark in the segment. Much like the Rexton, the major reason is a well established competition. The Trailblazer, being a CBU is far from cost-effective, too. The lack of an AWD system means the serious off-road enthusiast doesn’t consider it, either. Want the fastest seven-seat SUV? Get the Trailblazer. With a sub-10 second time of 0-100 kmph, it’s can beat all others in the segment bar none. More capable on the road than most SUVs, the Skoda Yeti is versatile, fun-loving, and well built. It’s powered by a 2-liter diesel engine and is available in both 4×2 and 4×4 versions. It’s decently loaded with features, too. But all of that doesn’t guarantee it success, as with the high buying price, and its unconventional looks, it fails to attract as many buyers as it should. It doesn’t look as macho as a Fortuner or an Endeavour, and it doesn’t have as much space, either. Skoda’s service isn’t considered to be the best, either. If you want something that can handle bad roads but one that doesn’t feel like a boat on the tarmac, then the Yeti is the only vehicle in the price bracket. The more powerful 4×4 version is the easy choice here.